You think you’re doing everything you can possibly do to keep fat from piling up in your body. You do everything you know in order to work off the weight. But every day, the scale is either unmoving or going up. Why is this happening? Surely your hard work should have paid off by now. Before you give up from frustration, consider this: it could be because of lesser-known fat triggers that are causing your body to store and create fat. The concept of fat triggers was first popularly discussed by Jon Gabriel in his book regarding healthy and effective weight management and loss. 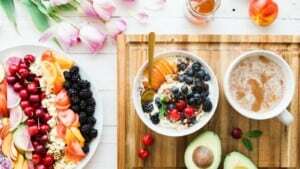 The book, titled The Gabriel Method, discussed many weight and diet-related issues and also touched on problems that could cause fat production to occur, unwanted, in the body. So what are you doing that is causing this mess? Many people deal with stress in their everyday lives, and this has an effect on the stress hormones in the body, especially one called cortisol. Increased levels of this hormone can cause an imbalance in the body that triggers the production of more fat. Why does this happen? Well, in ancient times, the body’s main source of stress would be a lack of food and very cold temperatures. The body’s response would be to begin storing fat to improve survivability. It goes without saying that none of them requires that you gain weight and store abdominal fat to solve these problems. Unfortunately, our bodies haven’t gotten the memo, so stress continues to trigger fat production in the body. Finding healthy stress management habits – like meditation, support groups, enforced “me-time” – or visualization, can help. A digestive system that is all clogged up is unable to properly process food components, often leading to a lack of essential nutrients that the body needs to function. This can cause the body to take protective measures and enter a fat-storing starvation mode. Whole foods that are not refined or processed contain digestive enzymes all on their own. But processed foods don’t have them anymore due to the heavy chemical and heat processes used to manufacture them. Yes, the body does make digestive enzymes for it to use, but without the additional help of others from food, it can face strain that affects its overall function. Today, herbicides, fertilizers, and pesticides plague all the natural, supposedly healthy plant foods we get. Though they can definitely help keep pests at bay for a better yield, they’re no good for the body and can cause excessive fungus and yeast growth. There’s nothing wrong with antibiotics on their own. They save lives, they keep many people healthy, and they’re accessible solutions to countless illnesses. But sometimes, they may be over-prescribed, and too many antibiotics weaken and kill good bacteria in the body – including those in the digestive tract. There are countless fad diets that circulate the Internet every single day, and many people fall hook, line, and sinker for them. Some work, others don’t, and many are just plain dangerous. Worse still, many fall into the unhealthy habit of chronic dieting. Excessive dieting of a restrictive variety is, all-in-all, ineffectual and does more harm than good. If you’re not eating enough calories in one day, the body goes into starvation mode, which is designed to help you store fat. This means that as soon as you stop the diet, you’ll gain all the weight back – and more. If you tend to get caught up in unhealthy dieting habits, you need to understand that there is no shortcut to weight loss. Eat healthy, whole foods in good portions, add exercise to your routine, and take care of yourself. If you find yourself dieting compulsively and cannot stop, speak to a doctor immediately. Positive thinking is a powerful tool, and the mind is capable of amazing things. If you have difficulty shedding pounds and start to adopt a negative mindset, it can cause you to face even more difficulty in your efforts. This type of thinking can affect stress levels. It can make you genuinely believe that you can’t lose weight, and that, in turn, can solidify your fate. This leads to even more negativity, especially if you tie your self-esteem and sense of worth into your appearance. Speaking to a therapist, practicing positive visualization or meditation, or surrounding yourself with positive people or a support group can help you on your journey to a better, healthier outlook; it can also prevent that unwanted fat production. Unfortunately, this is unavoidable – medication is necessary and helpful, and if you need them, there is sadly not much you can do about it. However, you can speak to your doctor about your options for weight loss or weight maintenance while taking your medication. Remember to never stop consuming prescribed medicine without a doctor’s agreement. A lack of sleep is just bad for your whole body. It lessens energy, lowers positive thinking, reduces concentration and productivity, and facilitates weight gain as your body struggles to keep itself energized. This is especially true if you have a sleep disorder like sleep apnea. Sleep apnea brings the oxygen levels in your blood to a significant low. This causes chronic exhaustion, which, in turn, increases unhealthy cravings, boosts cortisol production, and makes it very difficult not to start gaining weight. The worst part? It’s a cycle. Sleeping less and feeling tired makes you gain weight, the weight gain makes your sleep quality drop, and that makes weight gain happen again, and so on. If you have concerns regarding a possible sleep disorder, go to a doctor immediately. Some people also take naps to help them feel more rested and less chronically tired. A lot of us struggle with emotional problems. This can cause stress and insecurity, which are really, really big triggers for creating fat within the body. They act up, leading to stress and increased cortisol levels. For many people, emotional struggles and insecurities are linked to their weight and size, and this is where it gets dangerous. It forms a deadly cycle that can lead to eating disorders and disordered eating – neither of which are good for your body or mind in any way. If you believe that your fat production issues are rooted in this type of emotional weight issue, you should speak to a therapist, find a support group, or practice self-care if neither of the previous options is accessible. Surrounding yourself with good friends, making time for self-love, and adopting healthy weight loss and maintenance methods are all good options. You could be eating good portions and believe you’re eating well, but actually, be eating all the wrong things at once. For instance, you might be eating too much junk food or processed food. You may not be getting enough vitamin B, or enough protein, or enough of some mineral or other. Or perhaps you’re eating too much sugar, bad fat, or refined carbs. This type of subtle malnutrition can also put your body in starvation mode. Not only that, it causes impaired digestive function that makes it even more difficult for you to process consumed products correctly. Meanwhile, eating too many bad components leads to a host of diseases, including insulin resistance and cardiovascular issues – which, of course, can cause type II diabetes and heart disease. There’s a lot of misinformation online about toxins, where they come from, and what they do to your body. For the most part, your liver and kidney detoxify you. But if your diet has been messed up for a while, they could need a little extra help. It’s likely that a build-up of toxins requires the body to generate more fat in order to protect the rest of the body from those toxins and their release. However, this has yet to be confirmed with research and is speculative at this point. More importantly, toxins come from eating an excess of unhealthy foods, barely getting enough sleep, and living a less-than-ideal lifestyle in terms of health. This is why bodily cleanses have become so popular, even if they aren’t as effective as diet-lovers will have you believe. What are your best bets to cleanse your body? Drink more water, for one, and cut down on heavily processed or refined foods. Opt for more whole foods, especially of an organic variety, if you can get them. Virtually everyone has some sort of emotional baggage. Trauma, on the other hand, is very different and much more severe. Neither is very easy to discuss, and both could be responsible for retaining and producing fat in your body. It is not uncommon for the body to respond to painful or emotional situations with fat retention, building up your weight and creating a “shield” of sorts from it. It’s definitely not a very positive way to go about coping with past trauma, and it can exacerbate symptoms of trauma in many people. If your issue lies in emotional baggage, try the following: practice healthy habits, make time for self-care, perform visualization and meditation, and surround yourself with a good support network. If your issue comes from trauma, you should seek professional help in overcoming its consequences. These things that trigger fat production in your body aren’t often discussed, but they could be the hidden reasons behind your inability to lose weight or stop gaining weight. Unfortunately, for most people, their fat production is caused by more than one of these things, which makes things a little more complicated. This is why natural, health-oriented approaches to keeping weight off work so well. They involve focusing on eating well, living a healthy lifestyle, and taking care of your emotional needs. Real, long-lasting weight loss is a long-term process that involves permanent lifestyle change. But stay positive, because armed with this knowledge, you’re capable of doing it!